Sgurr nan Ceathreamhnan is a very distinctive mountain with its twin peaks located at the intersection of 5 narrow ridges. 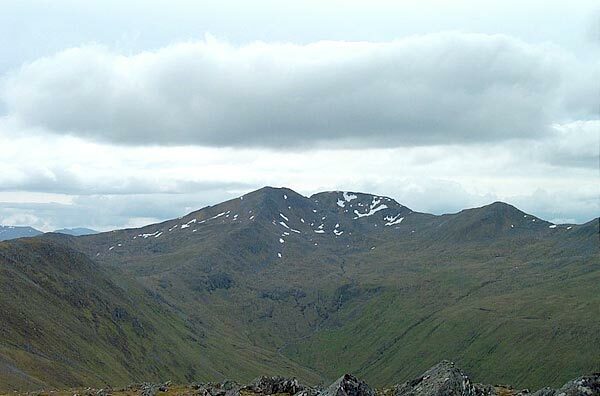 The true summit, 8m higher than its twin lies to the E.
From the summit, ridges lead E to An Socach and NE to Mulllach na Dheiragain. Looking across to Sgurr nan Ceathreamhnan on descent of A'Ghlas-bheinn (to Bealach an Sgairne) 2n2 April 2011. Sgurr nan Ceathreamhnan as seen from the summit of An Socach. Looking towards Sgurr nan Ceathreamhnan from An Socach (Glen Affric). 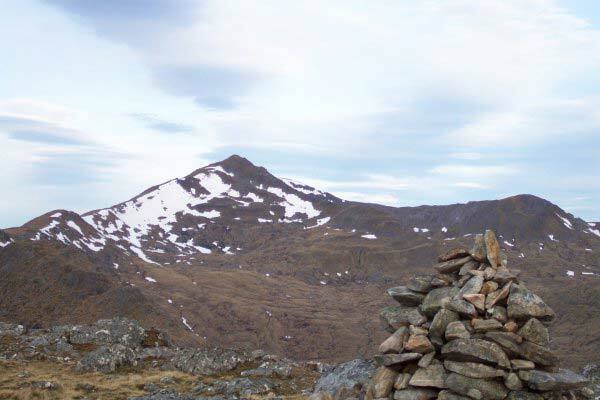 The summary information of one or more ascent routes that include Sgurr nan Ceathreamhnan. 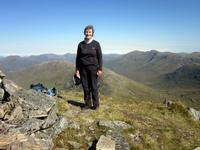 1 1724 m 28.84 km 9 hrs Sgurr nan Ceathreamhnan and An Socach [Glen Affric] Long route, with an easy ascent to rocky ridges. These two remote peaks require a long day. A stay at Alltbeithe Youth Hostel will give more time in the wilderness. 2 1945 m 42.37 km 12 hrs Sgurr nan Ceathreamhnan and Mullach na Dheiragain A long route to remote peaks with rocky ridges. Cycling can reduce the duration of this route. 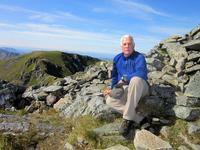 Post a few words about Sgurr nan Ceathreamhnan or read what others have had to say. An excellent mountain that is well worth the effort to reach, Approached from Loch Bheinn a' Mheadhoin in Glen Affric and cycled to Alltbeithe which took about 1.5 hours. 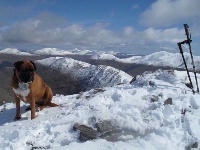 Climbed An Socach and then Mullach na Dheiragain before ascending Ceathreamhnan. Returned back to Alltbeithe for the cycle back which made the route about 10 hours long. 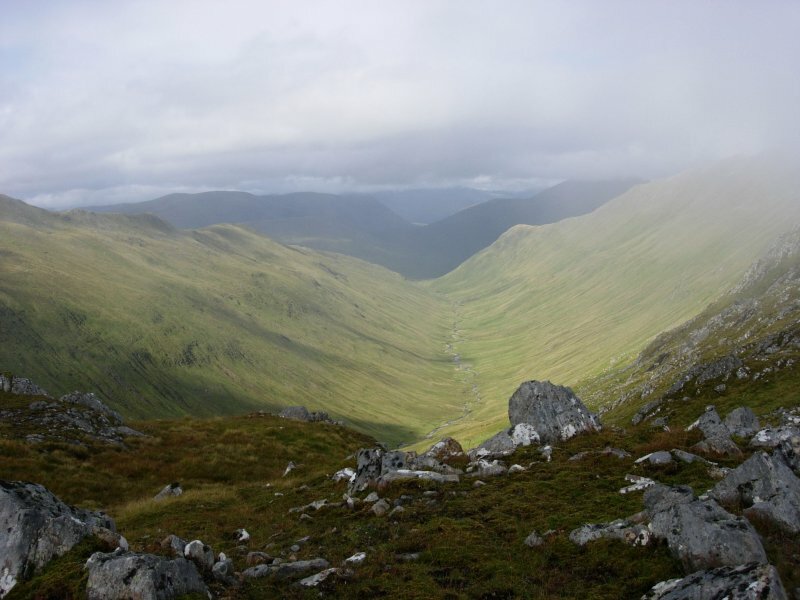 Ceathreamhnan would be well worth a return just to explore its many ridges and tops. 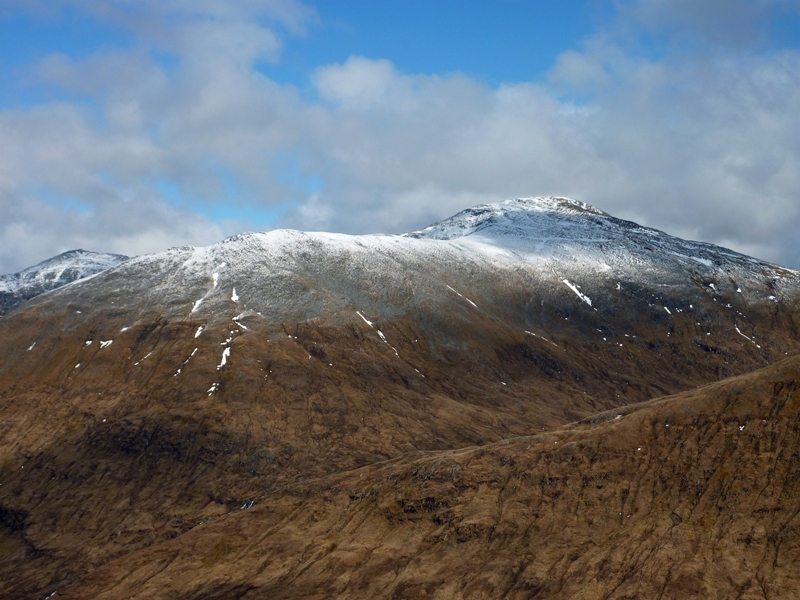 In fact the Munro Mullach na Dheiragain is really just an extension of Ceathreamhnan's east ridge.